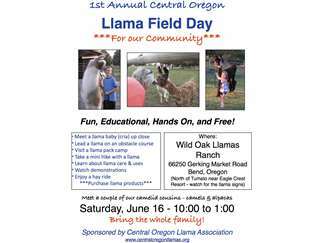 Members of the Central Oregon Llama Association are offering the public a FREE family experience of interacting with llamas up close and personal. 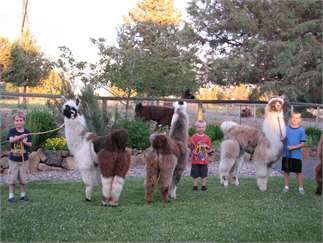 You will be able to meet and lead llamas, visit a pack camp, learn about llama care and uses, watch demonstrations, enjoy a hay ride, play at a kids' corner, and purchase llama products. 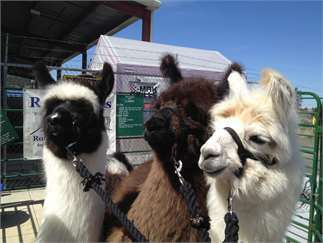 Come and get some llama love!